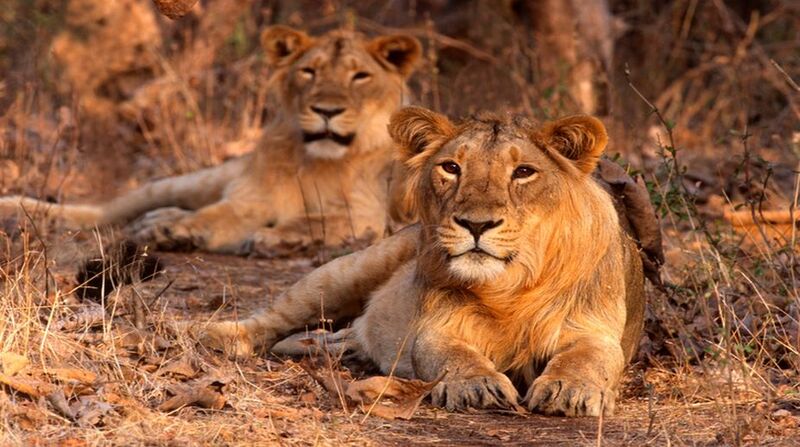 The lions of the Gir forest, the only surviving habitat of the Asiatic species, have long been a matter for parochial pride among the people of Gujarat; their netas in particular. They had joined forces to script a creditable conservation story that saw the once-dwindling population increase to an impressive 503 cats when the last census was conducted in 2015. Sadly that success story seems to have “gone to the head”, for no fewer than 160 lions have died in the last couple of years. What is “telling” is that though the authorities had made much of the numbers increasing, it required RTI action to extract the confession about the 160 deaths: 94 between April 2015 and March 2016, another 67 thereafter. Of particular concern is that a large number of deaths were the result of animals coming in contact with the electrified fences agriculturists have raised to protect their crops, or after falling into uncovered wells ~ which conservationists contend are deliberate death-traps. It was a campaign against electrified fencing and open wells some years back that had helped reduce the “threat” to the cats, now the protection-effort seems to have lost impetus. Cases of lions being hit by trains or motor vehicles on roads running through the forest have also taken their toll. What is also evident is that the Gir’s “protected sanctuary zone” is unable to sustain the present populace and the lions have to look beyond it for prey upon which to feed, and that has aggravated the man-animal conflict. The local authorities are not in favour of expanding the sanctuary zone as that would be unacceptable to people living there. Further complicating the “stand-off” is the state government’s reluctance to accept the proposal ~ endorsed by international agencies ~ to re-locate some lions to the Kuno-Palpur forest in Madhya Pradesh, which expert studies have found suitable for “creating” a second habitat which might also improve the genetic strain. Though the central government and the apex court have supported re-location, the Gujarat authorities keep raising objection. A section of critics allege that when he was chief minister in Gandhinagar, Mr Narendra Modi had been in the forefront of the resistance to re-location: now that he calls the “national shots” will he look beyond narrow boundaries to reinvigorate the lion population? Surely 160 lion deaths should serve as shock therapy.